It has been too long! I’ve had enough! I NEED Boundless back in my life!! Everything despawned. 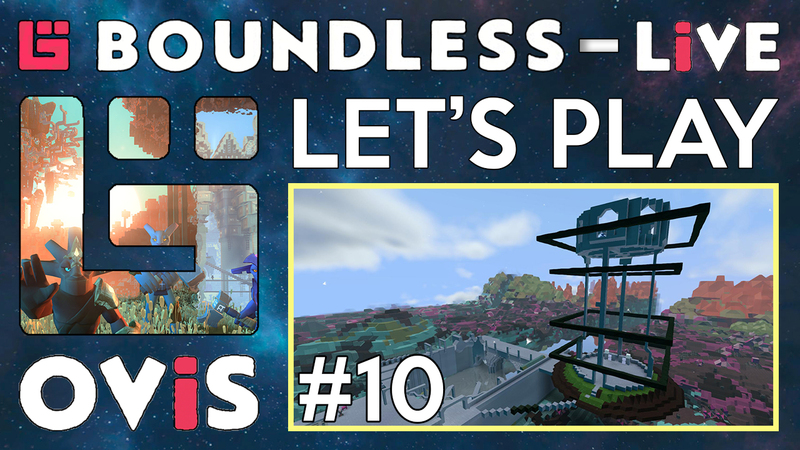 But my ideas for builds and everything Boundless have been spawning like crazy! @Lord-Proteus - Cheers Proteus, good to be back! It’s a very nice mailbox. so good you are back! looking forward to see what you will do with your rediscovered boundless energy! Why am I so slow in the head sometimes? lol. I just realised that you are my neighbor on Dzassak, Mittekemuis. You introduced yourself to me that day and I wasn’t very talkative. I apologize for that but my head was all over the place that day lol. But, I’ve only just now put 2 and 2 together. I’m an idiot! lol. I love your build there btw. I hope to get around to building what I have planned for there real soon. My ‘placeholder’ build is starting to look a little out of place with all the great things you guys are doing there lately. I must get on it soon. @Ovis - Great stream last night. Sorry I couldn’t stick around for long. I look forward to the next stream though. I will be streaming again tonight at 7pm (UTC time-zone)! We’re past the stone tools, time to set up a base and mark my scent on Xa Frant! Not like a dog does… no promises. I was thinking the same thing tbh lol. I love how you’ve blended into the natural surroundings and I was thinking that maybe I could give you 2 of the plots between us to give you a bit more room and on my side, I could make a wooden walkway (I planned a wooden walkway out over the water a bit, both could blend together) between our builds then and have it stepped down to come level with yours. Just an idea off the top of my head. But yea, we can sort something out, no problem. I’m LIVE right now, today we’re building an Enchanter’s Tower then going to go for a little hunt to get some animal drops so we can start forging!